Home » Denmark » How to Migrate to Denmark through Denmark Green Card ? This entry was posted in Denmark Denmark Immigration and tagged Danish Green Card Denmark Green Card Points Calculator Denmark Green Card Visa Denmark Immigration Migrate to Denmark Stay in Denmark work in Denmark on August 4, 2014 by Blog Author. Denmark is a famous immigration destination for immigrants because of its mixed market economy, strong welfare state, excellent employment opportunities and others. The country is also rated as best place and hub for the business. Denmark Immigration through a Denmark green card visa is a golden opportunity for overseas individuals who want to stay and work in Denmark. The green card for Denmark is a kind of work permit that allows a foreign national to reside and work in Denmark for a period of three years. Denmark green card is a permanent residency scheme for overseas individuals to visit Denmark in order to take up an employment offer under Danish employer. However, to migrate to Denmark under this scheme must fulfill the necessary requirements and then apply for the green card by filling the Denmark green card application form. Individuals after filling the application form to migrate to Denmark under the green card scheme must submit it with all the necessary documents. During the Denmark green card process the immigration authorities’ check each and every point specified in the application form thoroughly in order to decide whether the application should be approved or not. 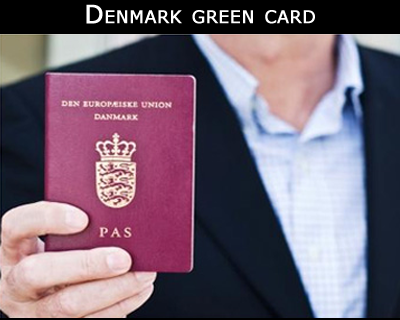 The processing time for Denmark green card depends on the applicants’ profile. Apart from fulfilling requirements, individuals should also get qualified in the point based scheme in order to migrate to Denmark through Green Card. Applicants need to score a minimum of 100 points to obtain a residence permit, in order to Work in Denmark. The points are awarded based on the eligibility criteria of applicants such as age, adaptability, work experience, education, and language skills. Under this scheme family members of main applicants can also visit Denmark. How can I apply for Denmark work visa for three years ? I have master degree of business administration & have experience 12 years of purchase manager in a home appliances company a well known brand in Pakistan. ← Why people from overseas entice for UK Immigration ?